We help bring your ideas and our designs to life using the most combined experience in Kamloops. 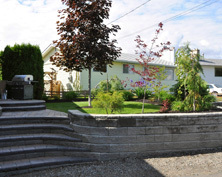 Retaining walls and rock walls need to be both functional and beautiful. We offer the best of both. 75 years combined experience and current with all new products on the market. The same with Paving Stones. The most important part of brick and block construction is what you don't see. 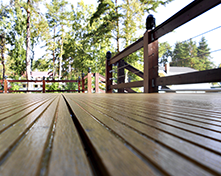 Preparation of the base is the most crucial part of your project. This is what we do best . 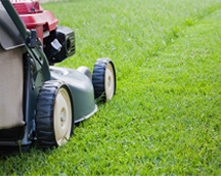 Most contractors and landscapers will try to skimp out on this part to make a bigger profit. 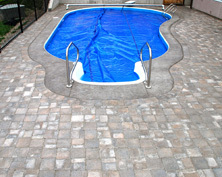 Skillful installation of paving stones and walls will improve the aesthetic look of walkways, driveways or patios. We take everything from color, texture and pattern to ensure that they match your surrounding living space or what you have envisioned to be your living space in the future. Koby's is proud to offer the services of "Our Italian". Tony Gervasi has been building retaining walls, installing paving stones, doing concrete work and working with rocks for decades. He will be the forman on site for any of your brick and block types of projects. His quality of work speaks for itself and the praise he gets after completing each project allows us to use all his projects as references. He is our most valued employee.